IRIS Network has a great pleasure to announce the continuation of its Small Grants Scheme (SGS), which will provide financial support to the member organizations in: Albania, Bosnia and Herzegovina, Montenegro, North Macedonia and Serbia. Small Grant Scheme is open only to IRIS national networks member organizations from 5 countries, especially grass roots, those who show initiative in implementing quality standards in their work, have active approach to policy making and advocacy during project implementation. Priority will be given to joint initiatives between two or more IRIS member organizations. The overall objective of the SGS is to build capacities of the grass-root organizations for service provision and advocacy at the local and/or national level, as well as to have outreach in the communities for the purpose of building a more resilient and inclusive society, bringing positive change in the community. For the first time applicants have opportunity to apply in their own local language within the simplified procedure. If you have a project which may fulfill the requirements of Small grants program, please send your proposals to: iris@iris-see.eu no later than 17/05/2019 at 17.00, with email subject stating “Call for proposal for the Small Grants Scheme – IRIS Networking”. For more information please follow documents attached below. After first successful Regional Social Academy of Iris Network, held in Belgrade in November 2018, IRIS (Network of CSOs providers of social services) and Arbeiter-Samariter-Bund Deutschland e.V. are announcing the Call for participants of the Regional Social Academy, which will be held in Tirana, Albania from 27th to 30th May 2019. The Academy offers participants a unique opportunity to benefit from a diversified training package, Introduction of legal framework and practical models of social enterprises in the region, exploring innovative entrepreneurship activities for the development of the region through higher inclusion of migrants, Roma, women, youth and PwD and other marginalised groups into labour market, and social services delivery. Participants will attend 4 day tailor-made training consisted of different learning methodologies including lectures, workshops, discussions and field visits. The Academy program will enable further improvements and optimization to the needs, interests and constraints of the target groups and their institutional and organizational environments. In addition to this, participants will have a chance to propose topic of their interest that will be elaborated and enlisted in agenda of the Academy programme. Deadline for application is 26th April 2019 at 17 p.m. Final participant list will be announced on the IRIS Network web site no later than 20 days upon the closing of the Call for Applicants. Successful participants will obtain certificates, and enter Academy Alumni. Upon the training each of the participants will be obliged to deliver informative session/workshop to their communities/organisations/institutions and report it to the ASB representatives. This activity must be completed in framework of 3 months upon the completion of the education. Outstanding results at the Academy will be seen as an advantage when applying for EU based traineeships organized by IRIS Network. 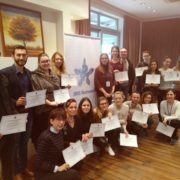 After the Academy, participants will have the opportunity to receive the scholarship for traineeship in the relevant organization social service provider located in EU. Regional Social Academy is part of the regular IRIS programme activities, organized annually in each of the WB state. Pictures and impressions from First Regional Social Academy you can see here. For application and additional questions contact iris@iris-see.eu. Mentoring program is open only to IRIS national networks member organisations from 5 countries: Albania, Montenegro, the Republic of North Macedonia, Serbia, and Bosnia and Herzegovina, especially those who show initiative in active approach in implementing quality standards in their work. IRIS Network is pleased to announce call “Assisting CSOs in acquirement of licences for provision of social services (fulfilment of quality standards) and Mentoring in overall strategic development of the CSO in question” aiming to provide mentoring services for the CSOs in process of licensing of existing social services. Successful applicants will receive mentoring support and guidance through the process of initiating licensing of social service they provide or assistance in development of strategic / action plan for specific services in accordance with CSO needs and required documentation for licencing process in accordance with standards for development of services. Mentor will assist CSOs to prepare for the successful service licensing process or assistance in development of strategic / action plan for specific services in accordance with CSO needs and required documentation for licencing process in accordance with standards for development of services. All information and application forms are available on links below. Application should be sent to email address masa.mitrovic@asb-see.org and Cc to iris@iris-see.eu no later than 15.03.2019. noon (12.00 a.m.), in accordance with the Guidelines. Programme open to staff members of CSOs providing social services in the Western Balkans, that are part of the IRIS Network. The programme offers to two selected candidates an opportunity to spend up to 4 weeks in the premises of CEMÉA-Occitanie, France, and gain in-sight into the methodology, best practices, quality standards for the services, referral pathways, EU legal framework within the social protection system and other relevant issues related to the provision of social protection and services in working with vulnerable groups, including migrants. The Traineeship program should provide great support to development of internal human resources of the CSOs involved as well as support for the licensing process. Thus, increase quality of social and legal services provided by CSOs through capacity building activities. It will also provide them a unique opportunity to meet their peers from the EU, to learn about their everyday work and to adopt and transfer innovative practices from the EU. Note: Term migrant is used in a wider sense and includes different categories such as, refugees, IDPs, displaced persons, returnees under readmission agreement, asylum seekers, person likely in need of international protection, victim of trafficking. The traineeship in CEMÉA-Occitanie will begin mid May 2019. CEMÉA-Occitanie is a movement of new education, a non-formal education association, training organization in the field of experimentation, research and social and solidarity economy. It is nationally recognized as an association with an extensive social and collective experience of 80 years. The main pillars of work are training, social intervention, education and culture. CEMÉA-Occitanie’s social integration activities include training of professionals and activities with beneficiaries in situations of fragility, such as social support for dropouts, unemployed people, migrants,etc.). Furthermore, social support projects, in a non-formal education movement such as CEMÉA-Occitanie, aim to contribute to the well-being in the society, to enable people to remobilize socially through various actions (individual meetings, creative events, etc) by bringing out the core potential of each person, to give everyone back the sense of belonging to the society and to heal their life wounds. Since 2012, CEMÉA-Occitanie has also been involved in professional support, within an integration project, for persons whose professional activity falls within the field of service provision, such as social workers, animators and similar, with the purpose of contributing to increased quality of life of vulnerable groups and supporting their social integration. Also, CEMÉA-Occitanie offers workshops for people aged 60 and over with the aim of promotion of social cohesion. Within the scope of activities, a parenting programme has been developed supporting parents to discover or rediscover their educational potential, raise awareness and take into account everyone’s needs, thus contributing to developing family relationship, strengthening sense of belonging and establishing principles necessary to exercise their role as parents. CEMÉA-Occitanie contributes to the educational system and pedagogical practices in schools through extracurricular activities. • Opportunity to put knowledge and skills into practice in your local community. What do we and CEMÉA-Occitanie expect from you? • University degree in social science – Law, Psychology, Sociology, etc. • Possibility to transfer gained knowledge and experience into policies and everyday work of your CSO. Please note that this call is exclusively open for members (staff members and/or volunteers) of CSOs providing social services in the Western Balkans that are part of the IRIS Network. In addition according to available funds, the selected candidate will receive a modest daily allowance to cover subsistence costs (i.e. food and local public transports). The traineeship in CEMÉA-Occitanie for both candidates will be at the same period. The duration of the traineeship may vary (3-4 weeks) depending on the travel and accommodation cost. The Contracting Authority is tasked to organise Capacity Building of CSOs providing social services activities. One of the measures is Mentoring program – Assisting CSOs in acquirement of licenses for provision of social services, fulfilment of quality standards and Mentoring in overall strategic development of the CSO in question. Please find more information on the following link. In the framework of the EU-funded project IRIS NETWORKing CSOs for protection sensitive migration management, implemented by Initiative for Development and Cooperation (IDC) in cooperation with partners ASB Germany, LIR CD BiH, La Strada – Open Gate the Republic of North Macedonia, Initiative for Social Change ARSIS Albania and SOS TELEPHONE Montenegro. IDC is organizing an EU Traineeship Programme open to staff members of CSOs providing social services in the Western Balkans, that are part of the IRIS Network. The programme offers to two selected candidates an opportunity to spend up to 4 weeks in the premises of La Ligue de l’enseignement, Arras, France, and learn about solutions to fight social exclusion and empowering the most vulnerable groups, specifically foreign unaccompanied minors and get in-depth knowledge in the area of migration and social inclusion. The traineeship programme in La Ligue de l’enseignement, Arras, France will start in September 2019. The programme offers to two selected candidates the opportunity to spend up to 4 weeks in the premises of La Ligue de l’enseignement in Head Office in Arras, France, and provides a learning experience in the area of migrant management and social inclusion of foreign unaccompanied minors. Travel, accommodation and living costs for selected candidates will be covered. What do we and La Ligue de l’enseignement expect from you? The traineeship in La Ligue de l’enseignement for both candidates will be at the same period. The duration of the traineeship will be up to 4 weeks. 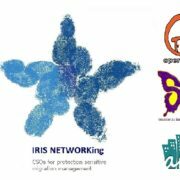 In the framework of the EU-funded project IRIS NETWORKing CSOs for protection sensitive migration management, implemented by Development and Cooperation (IDC) in cooperation with partners ASB SEE, LIR CD BiH, La Strada-Open Gate FYROM, Initiative for Social Change ARSIS Albania and SOS TELEPHONE Montenegro. IDC is organizing an EU Traineeship Programme open to staff members of CSOs providing social services in the Western Balkans, that are part of the IRIS Network. The programme offers to two selected candidates an opportunity to spend up to 4 weeks in the premises of Movimiento por la Paz (MPDL), Spain, and gain in-sight into the methodology, best practices, quality standards for the services, referral pathways, EU legal framework within the social protection system and other relevant issues related to the provision of social protection and services in working with vulnerable groups, including migrants. The Traineeship program should provide great support to development of internal human resources of the CSOs involved as well as support for the licensing process. Thus, increase quality of social and legal services provided by CSOs through capacity building activities. It will also provide them a unique opportunity to meet their peers from the EU, to learn about their everyday work and to adopt and transfer innovative practices from the EU. The programme will start in second half of March 2019. • In the field of migration, MPDL develops programs ranging from legal advice to emergency shelter, through awareness-raising and struggle for equality, with the aim of improving the living and foster social integration of migrants. • In the field of socio-economic integration, MPDL provides counselling and training for unemployed people to improve their chances of finding a decent job. • Furthermore, MPDL organises awareness-raising activities for students, teachers and family groups to promote a Culture of Peace, with the goal of creating living spaces in schools and promote integration and community development. • Finally, MPDL focuses on volunteering and training to promote various activities that symbolize and encourage citizen participation, aimed at raising awareness and transmission of values. Working areas of the EU Traineeship Programme in MPDL will be: Humanitarian assistance for Migrants, Programme for Asylum Seekers and Refugees, School for Peace, Women’s Area, Legal Advice Area, Social Mobilisation and Communication. • a learning experience on the provision of social services and civic movement in Spain, as well as insight into how the provision of services and the policy advocacy is shaped. What do we and MPDL expect from you? • Work experience or knowledge of some of following areas: social intervention, education, migration and gender equality. • Working knowledge of English and basic knowledge of Spanish. Knowledge of French is an asset. • An open and flexible attitude and the willingness to learn. In addition according to available funds, the selected candidates will receive a modest daily allowance to cover subsistence costs (i.e. food and local public transport). The traineeship in MPDL for both candidates will be at the same period. The duration of the traineeship will be up to 4 weeks. 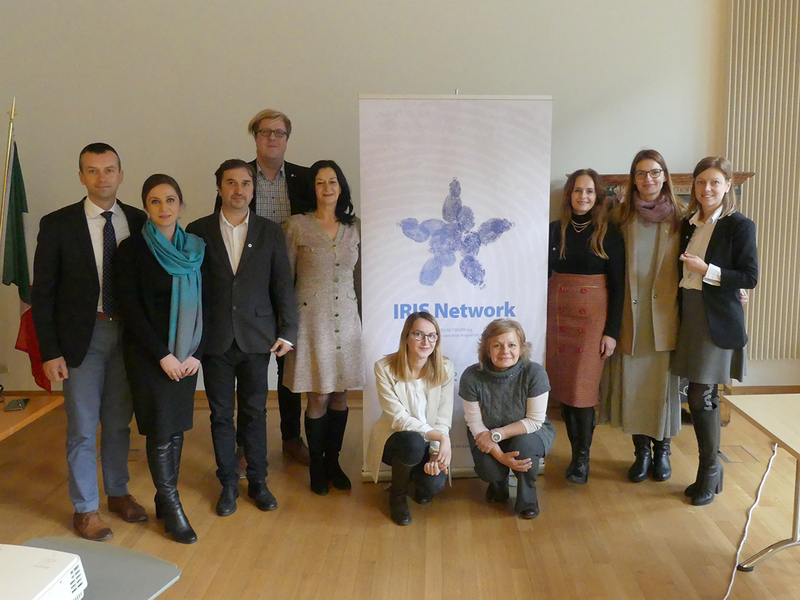 On December 18, 2018, IRIS Network observed the International Migrants Day by organizing a Round Table on Protection Sensitive Migration Management in Brussels. 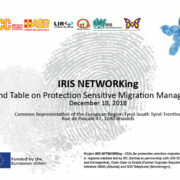 The Round Table event was organized as a part of the project IRIS NETWORKing – CSOs for protection sensitive migration management, funded by the European Union. The purpose of the event was to present the current situation related to migration in Serbia, Bosnia and Herzegovina, Former Yugoslav Republic of Macedonia, Albania and Montenegro as well as Findings and Recommendations from the Guide on referral system/social service delivery for migrants to relevant Embassy representatives and Brussels based decision makers. Miodrag Nedeljkovic, IDC Executive Director, gave an introductory speech, explaining that the goal of IRIS Network is to bring together national networks of social service providers from WB region. He also added that the main and most important goal of this project is better social care for most vulnerable groups who do not have proper services provided by local or national governments. Jelena Andjelic, IRIS NETWORKing Project Manager, stressed that the main goal is to put a focus on the significance of the networking among CSOs in Western Balkans in terms of capacity building of all national actors as well as enhancing the regional cooperation on all levels. It was a pleasure to host Liselotte Isaksson, Head of Sector – Civil Society and social inclusion – Western Balkans Regional Cooperation and Programmes in European Commission, DG NEAR, as one of the speakers. She stressed that migration remains to be on the EU Agenda, that CSO are key partners to work with and that social welfare should be more integrated into EU policies. While, Masa Mitrovic, project partner representing ASB, gave an overview of IRIS Network background in the period since 2012 and explained the synergy with ongoing Social Dimension Initiative project. She concluded that IRIS Network is now more than project and is a platform for exchange, cooperation and influencing at all levels. Following, IRIS Network National Coordinators, presented the migration related situation in their respective countries. Jelena Anđelić presenting the situation in Serbia, said that the regional cooperation is particularly important in the context of the most vulnerable migrants and refugees, such as unaccompanied minors, women victims of trafficking, victims of torture, in order to ensure protection in line with international standards, but also to demonstrate responsibility towards the most vulnerable individuals. In the context of protection of the most vulnerable, it is also important to strengthen mechanisms for early identification and differentiation of various categories identified in the migration flow. Biljana Zgonjanin, from LIR CD, IRIS Network Bosnia and Herzegovina, informed the participants that the most recent data on migrants shows that there are 21.201 migrants in Bosnia and Herzegovina and the crisis influenced methods of working with beneficiaries, which have been adapted to new circumstances. The refugees crises should in no case be considered as ended, the movement is still a reality, however on unregulated routes, which makes the refugees invisible and away from the protection system and on the mercy of the smuggling criminal groups, said Stojne Atanasovska Dimishkovska, from Open Gate: La Strada Macedonia, IRIS Network National Coordinator. Ana Majko from Social Organization for Support of Youth – Arsis, IRIS Network National Coordinator Albania, informed that participants that the number of migrants passing through Albania is higher than reported and that human trafficking is a big issue. She also said that UNHCR in Albania is working on a new database that will contribute to improved migration management in Albania. Biljana Zekovic, from SOS Telephone, National Coordinator Montenegro stressed that protection monitoring results, among 1.600 migrants, showed that were no reported violations by the police and migrants’ rights were fully protected. The following session dealt with Recommendations on the regional level by indicating areas which have been recognized as ones where regional cooperation is needed and can contribute to protection sensitive migration management on the level of Western Balkans, which were presented by regional expert on social issues Mr. Zarko Sunderic. The last session was dedicated to more networking opportunities in WB and on the EU level in terms of discussing the possibilities for the enhancement of the cooperation and communication as well as creating synergies between different stakeholders. Mr. Alexander Friedrich from Samaritan International presented the cooperation in terms of providing emergency response to migration crisis, among other activities. It can be concluded that the participants were provided with an in-depth overview of migrant management in Western Balkans, that important networking was established between IRIS Network and EU decision makers engaged in migrant management and Embassy representatives. The Round Table is definitely a significant and important step forward in brining closer the issue of migrant management in Western Balkans to EU interlocutors for the purpose of future cooperation and exchange of information on the issue.